I am smitten with all butterflies and moths, especially with our pulelehua butterfly, which is endemic to Hawaii. This dainty butterfly is found no where in the world except the Hawaiian islands. How special is that! The pulelehua depends on the mamaki shrub or several other native plants in the nettle family to survive. The pulelehua lays her eggs on the makaki leaves and the emerging caterpillar relies on this food source to grow. You can help the Kamehameha butterfly by planting mamaki, ‘akolea,opuhe or olona, which are all native plants in the nettle family. The newly hatched caterpillars dine voraciously on the leaves of these plants. 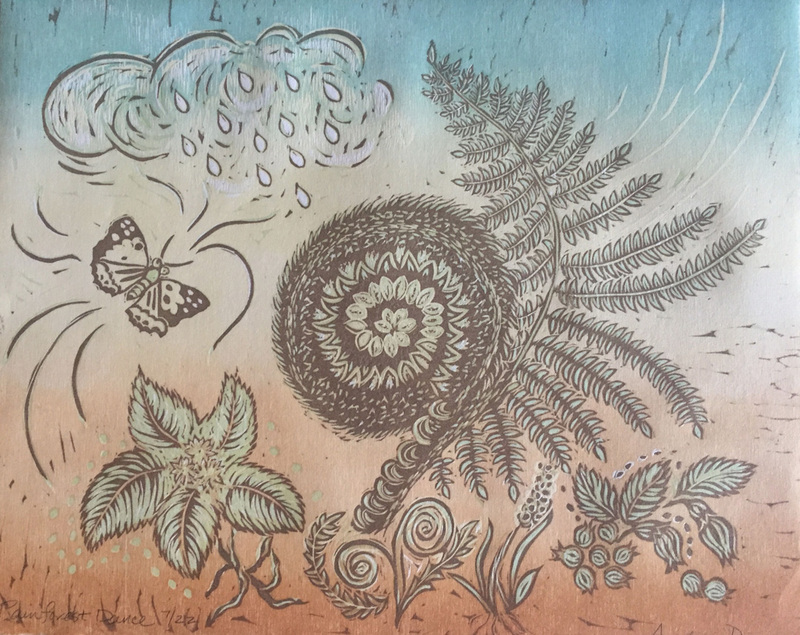 This is a reduction woodcut print on Hosho Japanese paper with deckle edges.